The new version Allplan 2013 contains more than 30 new valuable performance features, many of them facilitating and abbreviating the daily working routine of structural engineers, so that they can concentrate fully on what matters: bringing their vision to life. 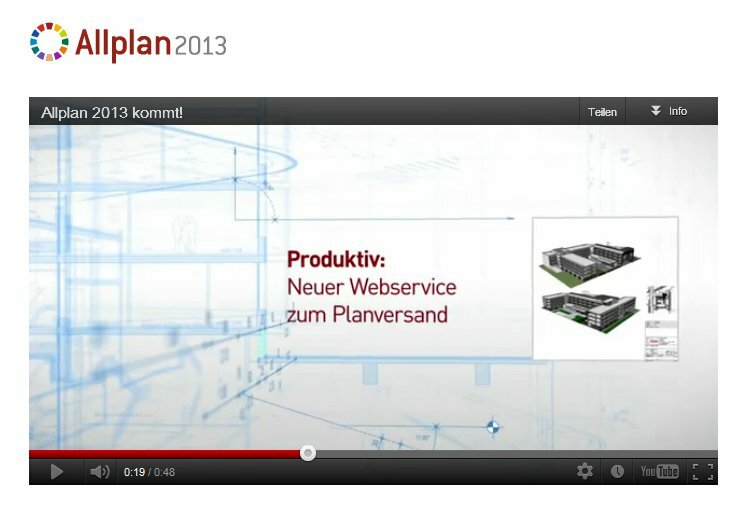 Have a look at our new coming soon video at www.nemetschek-allplan.com/2013. We believe that it’s possible to create buildings that are more than just the sum of their parts. We believe in buildings, bridges, structures that are esthetically sophisticated, structurally sound, benefit from sustainable energy sources – and are low-maintenance in everyday life. To support our customers in managing these tasks, their needs are our main focus. Engineers are in want of software that offers them everything they need to successfully run building projects in a highly cross linked, very fast working environment. The new version Allplan 2013 therefore contains more than 30 new valuable performance features, many of them facilitating and abbreviating the daily working routine of structural engineers, so that they can concentrate fully on what matters: bringing their vision to life. By the way: due to the component oriented working method based on a 3D building model, Allplan is predestined for Building Information Modeling (BIM). Allplan 2013 as a BIM platform will support its users in generating a seamless working process for the design, build and management of projects cost efficient and error free.